Home Uncategories The Voice of the Turtle Episode 40: How sweep it is! The Voice of the Turtle Episode 40: How sweep it is! Tigers fans everywhere are riding high after the team's massive three-game sweep in Boston, and we're no different here at The Voice of the Turtle. 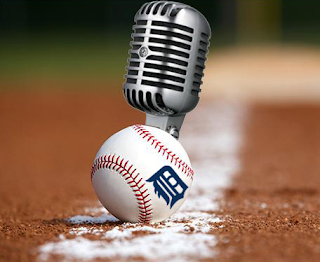 On this week's episode, we take a look back at the week that was in Tigers baseball, from the four-game split in Chicago to the tightrope walk that was the series in Boston. Rob and Hookslide also look ahead to the next week-plus for Detroit. The schedule sets up nicely for them -- a whopping 22 of their next 31 games are at home! -- but does that make them contenders? The Tigers have significantly boosted their playoff position in recent days, but do they have the roster to get there? The buy/sell conundrum continues. There are issues afoot elsewhere around baseball as well! Aroldis Chapman was traded, the New York Yankees are selling, and Chris Sale decided to take the next step in his burgeoning fashion career. We tackle those issues, answer the latest batch of listener questions, and sit down with Vice Sports/Baseball Prospectus/Fangraphs writer Matthew Kory to talk about life as a Red Sox fan under the tyrannical reign of Dave Dombrowski. - The bullpen is... good? - What does the trade deadline do to this roster? - What does Mike Aviles have to do to get DFA'd? 1:00:35 - Into the Mob Scene at Home: how many innings can Lucroy pitch?